Snowflake Festival Warm Up Contest – Winner Announced! Winner Announced for the ‘Dinner and a Show’ Contest! MoneySense magazine has ranked St. Albert the 19th best place to live in Canada. Data was gathered from 415 cities across Canada, then ranked in 10 categories: wealth and economy, population growth, taxes, affordability, transit, crime, weather, access to health care, amenities and culture. Results are in and St. Albert is once again amongst the top 20! Click here for complete details. Grandin Parc Village nestled in the community of Grandin, surrounded by parks and green space, is proud to be a part of The Botanical Arts City. 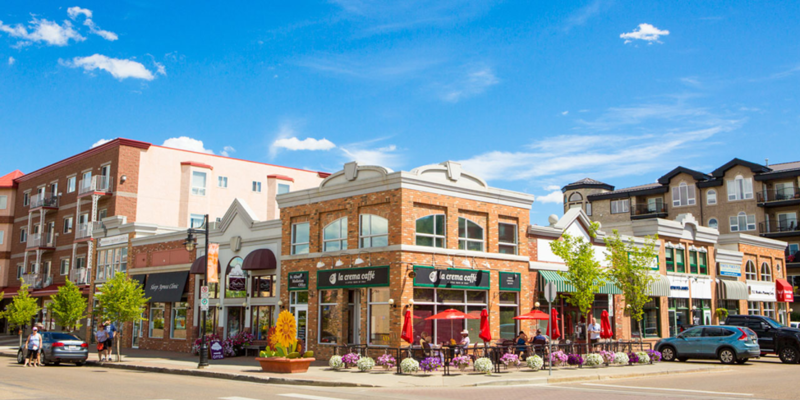 Offering a rich arts community, a wealth of recreational opportunities, a low crime rate and a thriving economy, St. Albert is truly one of the best places to live in Canada. Visit us at our presentation centre, located in the heart of beautiful St. Albert at Suite 104, 5 St. Louis Street, St. Albert to view our stunning show suites, and learn more about living here at Grandin Parc Village – the best place to call home.